Mudhorse are a new Swedish band from Helsingborg. It is a dual guitar line up of three guys and a rocking female drummer. "Bad Time Story" is a melodic hard rock number with a good guitar riff and hook. "Magic Light" is next and another good song, but the guitar soloing has no bite to it. The middle section brings it down and I thought here they have a chance to take the song somewhere but they go somewhere pretty boring, then come back to the main riff. "Troubled Brew", the last studio song, is pretty much the same pace as the first two songs and has a heavy guitar riff. The singer reminds me of a less harsh and intense Zakk Wylde. The last track, "Boom Fuzz Reggae", is a 22 minute song recorded live in 2001. It features a guest keyboard player and starts off as a reggae jam but around half way through they really take off on a jam. The recording is raw but shows the live potential of the band. 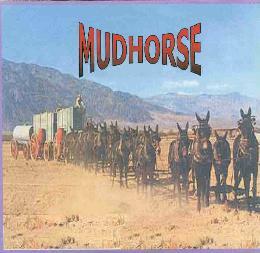 For more information you can email Mudhorse at: Mudhorsesociety@hotmail.com.